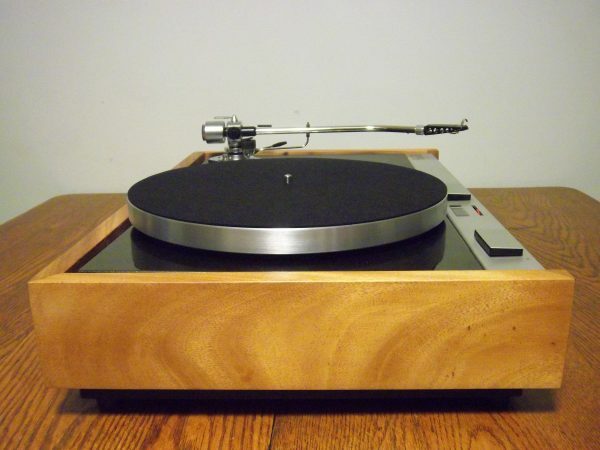 Finally, because none of the above will matter if the turntable doesn’t reach you in one piece, I have extensive experience in safely shipping vintage turntables. I know the tricks and the techniques to get your turntable to you without incident. I literally ship over 100 turntables per year, and my success rate is over 99.7%. In the fractional amount of cases where there is a problem, it is always resolved with your complete satisfaction as my goal. A lot of businesses make that claim; with me you will find it is a way of life. 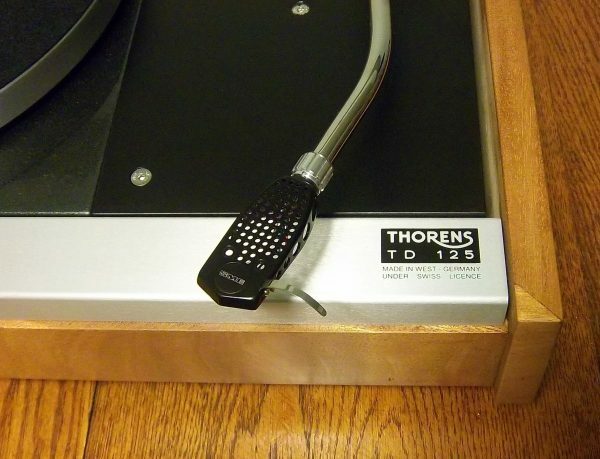 In the back of my mind I knew that there was a Thorens TD-125 turntable that accommodated a 12 inch tonearm, however, it wasn’t until a faithful customer named Scott D started talking about the “Long Base” model that I realized it was something that Thorens actually produced themselves, direct from the factory. At first, I spent a few weeks trying to search out a TD-125 Long Base that Scott could purchase. There were various owners who had pictures of their prized possession on various forums and websites. One long base model even came up for sale on eBay, but it turned out to be just a chassis, with no plinth. In my research, I began to realize that there was very little difference between the stock TD – 125 in the Long Base model: 1) larger plinth; 2) larger armboard; 3) larger aluminum switch/fascia plate. The first two differences were very minor, a matter of woodworking. However, the larger switch/fascia plate was going to take some planning to implement. First there was the actual manufacturer of the plate, and then there was the reproduction of the silk-screening. After three months, working with a variety of companies getting estimates and discussing various plans for implementation, the switch/facia plates were done and looked fantastic. 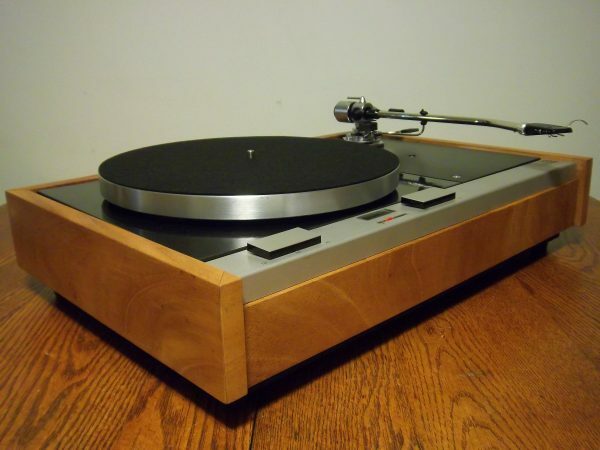 Like the “Baby Grand” AR projects, this will be a turntable of which I only offer a limited number on an annual basis. This is the first I have offered for public sale. There will be just one more in 2012. 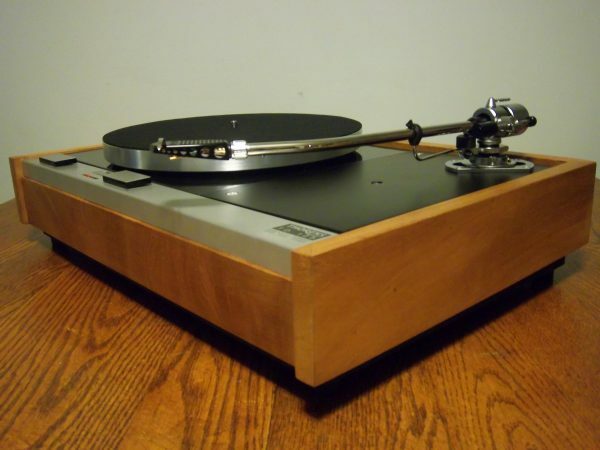 I would rate this particular turntable a 9.5/10.0. The gorgeous African mahogany plinth is fresh from the workshop of my finish carpenter…it is just stunning…the photos do not do it justice. 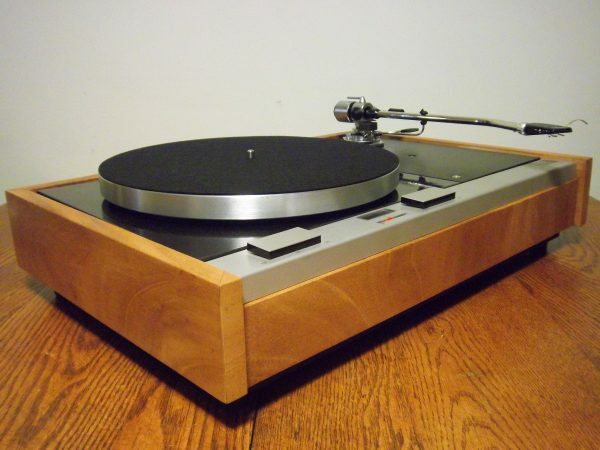 Unlike the original TD-125 plinth which was veneered, this is solid African mahogany. It has been finished with three coats of finish highly recommended to highlight the beauty of African mahogany. Additionally, modern adhesives and reinforcements ensure this will become an heirloom. As mentioned above, the metal plate was sandblasted and powercoated. The brushed aluminum faceplate is new. The arm board is new. A new 3/4″ MDF bottom painted in flat black has been added. The TD-125 features three speeds: 16, 33, and 45. There is a pitch controller and a stroboscope for precise speed adjustment. The speed control unit has been completely serviced, with the caps and transistors most likely to fail replaced! After replacement, it was completely reset to original spec. It is now ready for another 40 years of service! 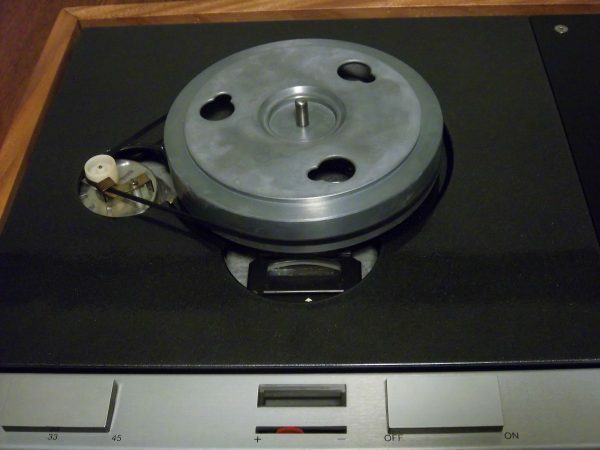 Here is a detailed list of how a TD-125 is serviced by Vinyl Nirvana. The SME tonearms have been lauded for their excellence for over 40 years. The M2-12R was made to pay homage to the legendary SME 3012. It incorporates many of the classic SME characteristics, yet belongs solidly in the here and now. It can easily handle cartridges in a multi-thousand dollar range. Quite possibly, this is the nicest arm I have offered on one of my turntables. (All packing, and literature is included.) The tonearm itself retails for $2000. Your table is guaranteed to look and work as described, or you may return it within ten days of arrival for a full refund, minus return shipping charges. After ten days, all returns are for merchandise credit only. The SME arm is fully warrantied.